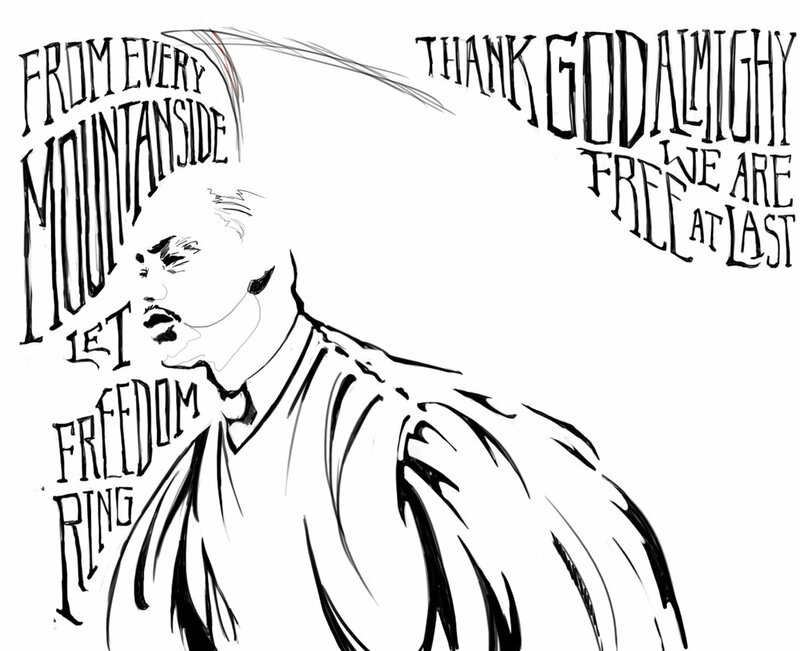 Digital Illustration of Martin Luther King Jr. The aim of this project was to capture Martin Luther King Jr. in a portrait. After considering that Dr.King is known more for his words than his likeness, the most appropriate solution was to design a portrait that featured excerpts from his speeches as a primary element. I started by finding a photo that I felt most captured the power of Dr.King. I chose this photo, for the movement in the composition and the the intensity already clear in the photo. Then I recreated the photo in sketch, and began roughy planning the type placement. I took out key excerpts from one of Dr.King’s most powerful speeches, and hand-drew the type to give the portrait a more human, organic quality. 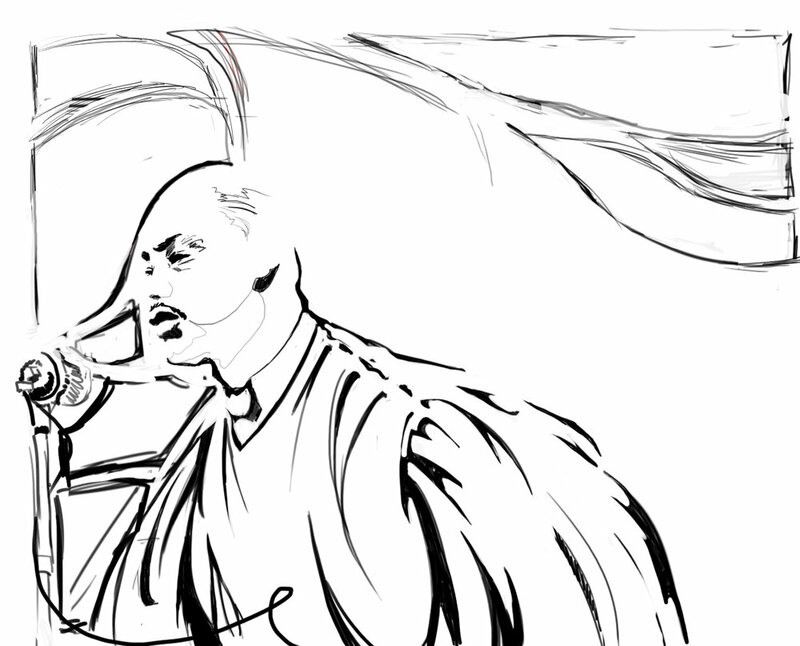 There’s a sense of movement throughout the piece: his robe and the microphone chord seems to flow behind him; the text too seems to move aside and wrap around the figure. All of this along with the words themselves give the viewer an impression of forward movement and progress, which Martin Luther King strove for.